Buy Can I Come Home, Please? Use Rewards for Can I Come Home, Please? A haunting collection of voices from the Second World War, which shows what it was like to be a child during modern history’s most destructive conflict. Based on taped interviews from the Imperial War Museum, these true-life accounts tell stories of the war from several perspectives and places. 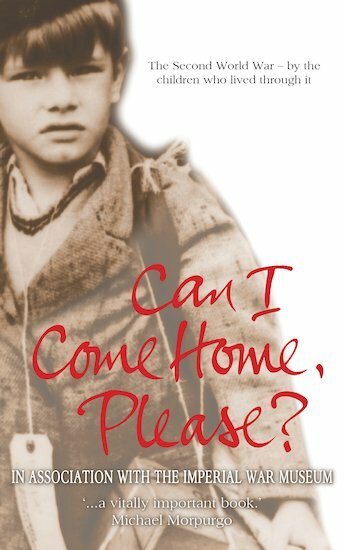 Evacuees, Holocaust survivors, Blitz survivors and German children all tell their own unique and moving stories, illustrated with vivid photographs and a historical timeline. Describing a world-shattering conflict through the eyes of real witnesses, this is a rare and moving opportunity to see the war as children who lived through it did. Phil Robins has a PhD in English Literature and has studied for an MA in Ancient History. He is the author of Dead Famous: Joan of Arc and Under Fire: Children of the Second World War Tell Their Stories for Scholastic and is currently a freelance writer and editor. This book is an excellent read sad but worth reading. Definitely not a waste of time. No book will move you more than this one. Incredible, passionate and emotional, this book will warm your heart forever. I enjoyed this book because it was the tales of all different people who had different fates in wartime Britain.